It was a White House soup of the day back in 2011. Apparently George H. Bush was not a big fan of broccoli (like my own dad, really). Mr. Obama has a different perspective, obviously. Must be something about broccoli that appeals to democrats. Republicans likely associate it with higher taxes. This whole thing sounds really made up. Amazon sells Campbell’s version of Cream of Broccoli Soup on the Go for $15.47. It is made in the U.S., microwaveable, and can be purchased with 20% coupon on first purchase. You actually get a 8-pack for that money. Hell of a deal, as far as I can tell. Campbell started producing the soup in 1990 and complemented it with a recipe booklet that used cream of broccoli as an ingredient. Apparently it had a great success. And that’s it, really. 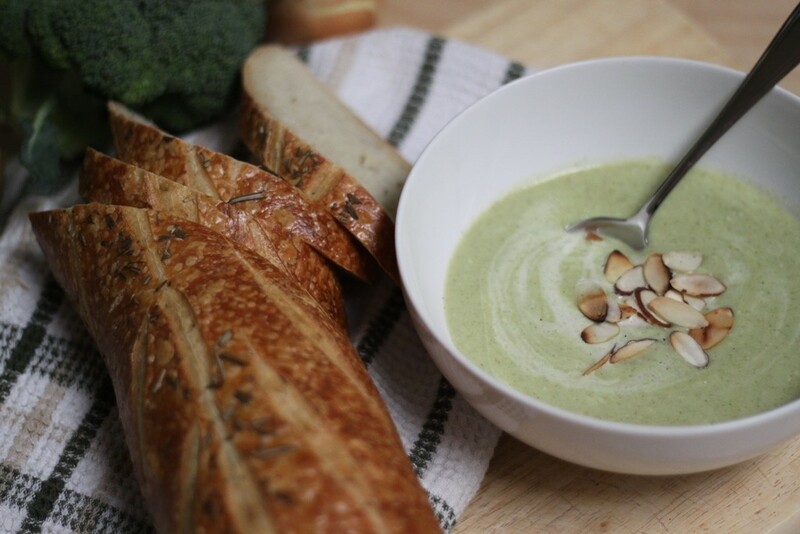 But lack of historic perspective or wide news coverage doesn’t change the fact that Cream of Broccoli soup is awesome. Enjoy it real hot, with a slice of artisan bread (sourdough or rye would be top choices), and think about all the things you could say about this soup. This entry was posted in American, Soup. Bookmark the permalink.